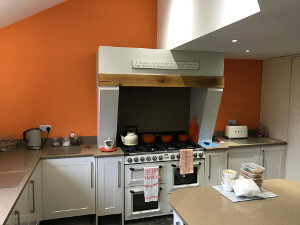 Thinking of new kitchen idea can be tough, which is why we are providing you with tips on how to plan a kitchen design. One of the most important things to consider when designing a kitchen is storage and space. Your kitchen layout will determine how much space you will have. Therefore, it is best to play around with many types of kitchen layouts. Be creative when designing your kitchen. There are many free online kitchen builder programs to help you. Alternatively, you could use a pencil and paper. Whatever your method, make sure it is to scale. 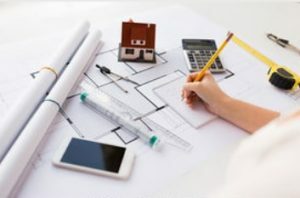 Below is a step by step guide on how to plan a kitchen layout. 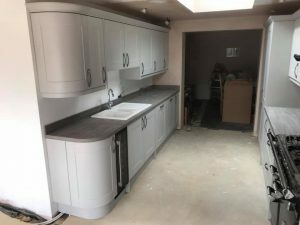 In order to design a new kitchen, you must first realise problems with your old one. What things annoy you with your current kitchen? What design features work with your current kitchen? You may want to consider keeping these. Does your current kitchen offer good storage solutions? Are you able to cook and prepare food efficiently in your kitchen? Does your current kitchen look very dated? Is your kitchen used much during parties. If not, then why? Draw your ideal kitchen layout. Even if you know it will be a problem to achieve, such moving plumbing and gas to the opposite side of the room. Although it is hassle moving such things, it will be worth it. Your sketch should take into account storage solutions. Make sure your design has sufficient storage. It is likely you will need more storage than you think. Big larder cabinets are a great way to store many items. You may have to sketch many kitchen layouts to arrive at your ideal one. Make your design flow. It should not look awkward. All door entrances to the kitchen should be clear (if possible). Worktops that are close to entrances will make the kitchen appear smaller. Think about the depth of your upper kitchen units. 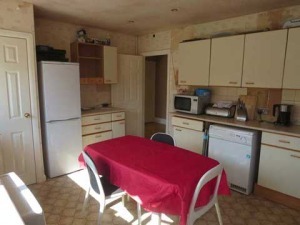 Some kitchen units are rather narrow, which can be hard to fit plates inside. Think about where your electrical devices will go, such as washing machine, tumble dryer, microwave, etc. When designing a kitchen it can be easy to forget the bin. Make sure your design has room for your rubbish and recycle bins. This stage is the hardest when it comes to kitchen design. 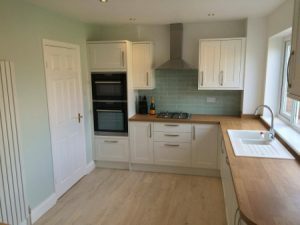 Radical design changes to an existing kitchen can be very expensive due to gas, electricity, water and waste being moved. Mark on your design plan how your kitchen will be supplied with these utility’s. 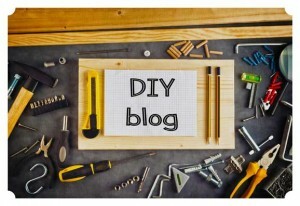 Are you handy when it comes to DIY? 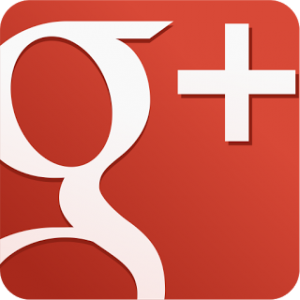 If so, then you may consider modifying these utility’s yourself. Ensure the style of your kitchen matches the general decor of your home. Be creative in your design ideas. A modern style may look clean cut and metallic. A traditional look may be more wooden. 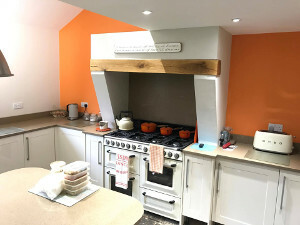 Ovens are usually the main feature of a kitchen. Investing money in an excellent oven could make your new kitchen look stunning. It is worth considering the energy efficiency rating of your oven. You will be surprised how much money it could save you. 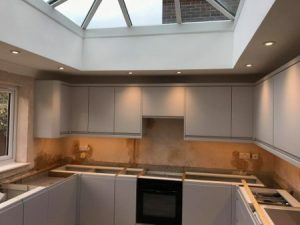 Think about your kitchen lighting. Be aware that your new design may be different to your current one. This means your current lighting may not suit your new kitchen. Also, consider energy efficient lighting, such as LED’s. These types of lighting last longer than traditional lighting. They are also very energy efficient, which will save you money on electricity bills. Consider where your plug sockets will go. Also, think about how many you need. Certain equipment in your kitchen such as ovens require fused spur sockets. Use a chimney extractor hood that vents moist air outside of your kitchen. These are the best type of extractors to get as its helps remove your moist air. By moving the moist air you will reduce condensation build up within your home. By this stage you should know what you want out of your kitchen. Therefore, you are ready to get a price from a reputable kitchen supplier. Find a kitchen supply company that will draw up your kitchen design using CAD (or similar software). These programs are perfect to ensure your kitchen will fit as it should. It also gives you insight as to how the kitchen will look in the real world. Resist extras. If you are on a budget then resist going for extras you do not need. Do not add on soft close hinges, or curved units. Soft close hinges can be bought later if necessary. 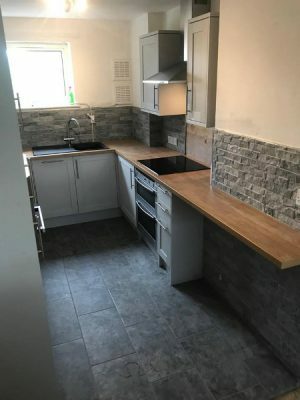 Kitchen flooring before units? 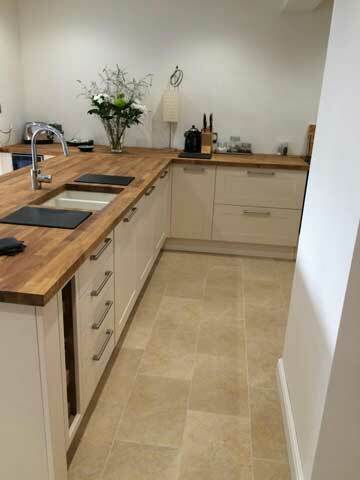 Ensure your kitchen flooring is installed before your kitchen. We believe this always looks better. Want more ideas on how to plan a kitchen? If so check out this article. 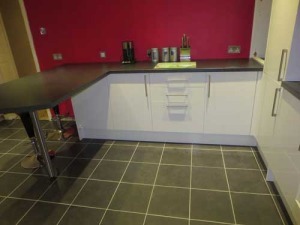 Below are images of a kitchen we fitted in Chelmsford Essex. 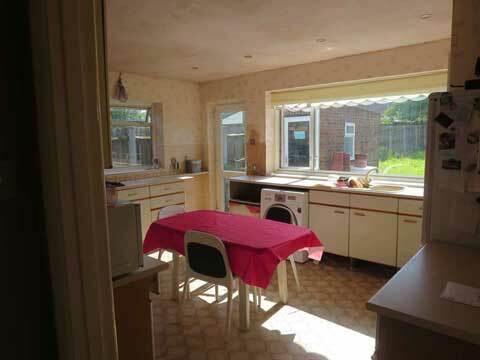 This Howdens kitchen perfectly matches the room’s decor. 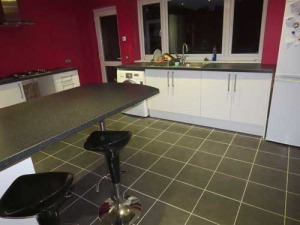 Especially as the wooden worktops match the kitchen door. 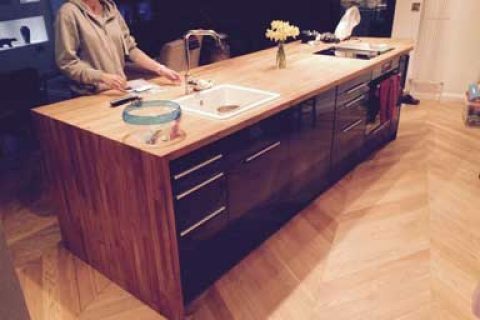 This is a great example of a great kitchen design. Below are images of a kitchen design in Basildon Essex, from start to finish. 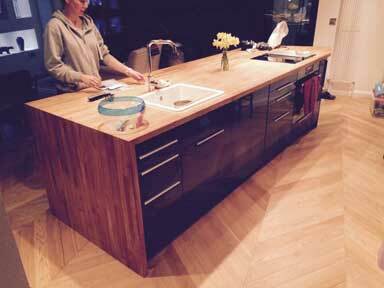 This kitchen has undergone a dramatic change. 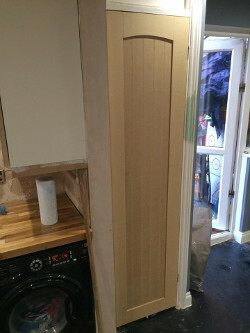 A window has been bricked up allowing an extractor to be installed. Also the brick built pantry has been removed to allow extra space. We went for a modern design on this kitchen. 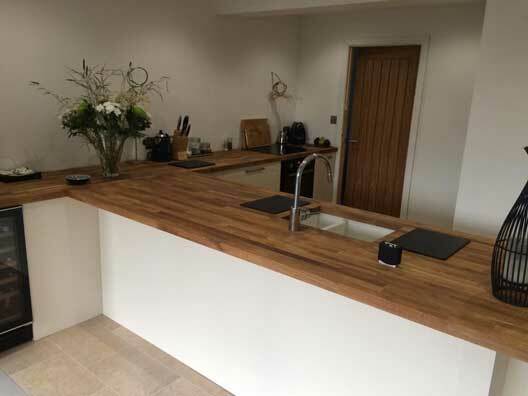 A breakfast bar was installed to increase the space within the kitchen. The modern looking bar stools makes this kitchen stand out. This also removes the need for a table in the center of the room. This helps the customer create more space. Good kitchen ideas have turned this room into a modern and elegant space.